When the first headline mentioning Robin Williams’s private diagnosis of Parkinson’s crossed my feed, I wanted to collapse with shock. I couldn’t believe it. I’d already been on a two-day crying jag about his suicide. He was a big part of my childhood, and his face was very familiar to me from so many amazing works. But I didn’t know him. I couldn’t understand why I couldn’t seem to recover from the news. I think at first it was because it’s so hard to see someone so beloved, so talented, with so much love in his life, doing this, taking such a final step. But now, I understand another piece of the puzzle. For the last year, Parkinson’s has been a big part of my life. My mom was diagnosed, and with every drug change, every new protocol, she calls and asks me to look up side effects, drug combinations, what she can expect. A great and beloved painter attempts suicide when his diagnosis of Parkinson’s stirs up fear that he will no longer be able to create his art. Albert really must have fallen hard to attempt suicide when his talent was so visceral. Even with the struggle to control his movements, he was easily the best artist I’d ever met or studied under, even in college. If I were unable to do the one thing I loved, if some disease took that away, I’m not sure I would do any better. One thing I told the students who attended my suicide talks is that once you choose death as your destination, it never goes away. Every upset, every disappointment, every setback has the same way out. You don’t even have to search for it to know it’s still out there, waiting for you to stumble one more time. In that, suicide wasn’t that much different from alcoholism or drug addiction. You could go to rehab or therapy. You could get it out of your mind for a while. And life could go well for months or years or decades. But the moment it didn’t, in that instant when your depression or your struggle or your exhaustion hit that critical point, it all rushed back. And your mind went straight to the place you thought you’d twelve-stepped or group-sessioned out of existence. The needle. The bottle. The knife. I wish there had been some other way, that there had been some treatment, some quick intervention, some help that could have gotten to Robin in time. My story has a much happier ending. Albert does find a way. He does figure out how to manage. And he starts to recognize the treatments will go up and down, work for a while, then fail, then another will work a while longer. It becomes an act of faith to believe that another good time will come, to counteract all those thoughts and emotions coursing through him without his control. But he managed to figure out that the disease didn’t define him, and that he could muddle through. 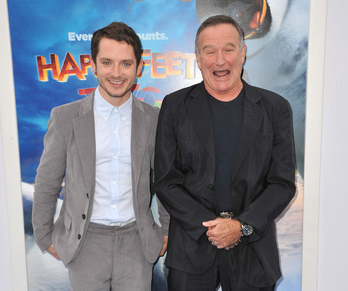 There was so much greatness still to go for Robin, and it is lost to us now. His brilliant ad libs, his appearances, his voice and acting that added so much to every project he was in. But I am grateful that we got what we did, and that his family shared him with us. And that his life, in death, sheds a little more light on an issue we could stand to learn a lot more about. Opening Pages to Forever Sheltered — Get ‘Em Right Here! Ju st TWENTY days until the release of Forever Sheltered! Dedications to go into the back of this book for families affected by cancer will happen next week. Watch the Facebook page for the sign up period or get on the mail list! Oh, that idiot jerk doctor just walked in here and demanded a favor. I whirled away from him to pick up a box of tempura paints and clutched it tightly with both hands. It was either that or punch him in the face. This was my room at the hospital. Where doctors weren’t the big shots. Where patients came to escape. My cheeks were hot. “I didn’t expect to see you again,” I said, pointedly refusing to ask what the something he wanted me to do entailed. “You didn’t show up last time you asked to meet with me. This same doctor blew me off two weeks ago. Set up a meeting and didn’t show. Like his time was valuable, and mine was not. I kept my back to him. A long moment passed. He stayed quiet, so I began to wonder if he’d snuck out. Not a bad idea. Nobody likes me when I’m pissed off. I checked the paints, chucking any colors that had dried out. I had less than ten minutes until my next therapy group arrived, a set of children from the cancer ward. It often took all my emotional strength to get through that hour. I wouldn’t give the doctor another thought. Those kids had it so hard. They lost their hair. Threw up spontaneously. Dealt daily with the idea of death. Many were far from home, sent here to the specialty wing for cancer patients after their own hospitals had exhausted all options. My days felt like battles, miniature war zones. And yet here was this Dr. Darion Marks, asking me to do something for him. I was so sure he was gone that I jumped when he spoke again. “I’m sorry I didn’t let you know I couldn’t make our meeting two weeks ago,” he said. Still no explanation. I turned a little so I could see the doctor, tall and stalwart in his white coat. He reminded me of a statue, perfect, chiseled, and cold as granite. I dropped the box of paints on the low table with a satisfying clunk. “Hey.” His voice carried an impatient tone that sparked my anger into rage. I glared at him. I was ready to give him a real piece of my mind when he switched tactics. I hated him with a fury I usually reserved for people who kicked dogs. And my parents. I grasped the back of a chair and leaned over it. Menacingly, I hoped. Isn’t Tina something else? She’s been in three of my books, and it’s finally her turn to get a book of her own! ALL of chapter one will go out to the mail list subscribers at MIDNIGHT (July 2, CST). Get on the list — if you are not sure you are on it, enter your email — it will tell you. If you have missed the email, still join up. Just reply to your “Welcome” email and we’ll get you the first chapter. PLUS you’ll get 70 pages of Baby Dust to download — all of Tina’s backstory from when she was 17.